The extreme nature of “witch” burials reflects how deep our fear of sorcery goes—even from beyond the grave. It is not uncommon for the witches to be weighed down or have their jaws forced open. The designation “witch” is political. Because belief in divination and curses is universal to humans, spell-casters are always an easy scapegoat. Often, unexplained illnesses and misfortune are attributed to witchcraft. Many of these “witches” suffered from physical deformities, revealing our deep prejudice against anyone out of the norm. In 2011, archaeologists unearthed the 800-year-old remains of a witch, who had seven nails driven through her jawbone. Located in Tuscany, the site was considered a witches’ graveyard after an earlier discovery of a woman buried with 17 dice. The game was forbidden for women 800 years ago. Both women are believed to have been between 25 and 30 years old and were found in shallow graves without coffins or even burial shrouds. In addition to the seven nails in the witch’s jaw, she was surrounded by 13 nails, which likely pinned down her clothing. The nails suggest that the locals were terrified of the witch returning from the dead. The nails in the jaw may have specifically prevented her from uttering curses from beyond the grave. The biggest mystery is why these suspected witches were buried in consecrated ground, which goes against the traditions of the era. Dated to around AD 600, Rita is not the Rollright Witch of legend; the site was constructed between 2500 and 2000 BC. Along with the patera, Rita was found with a spindle whorl, a large amber bead, and an amethyst-set silver mount, suggesting she was of high status. Roman soldiers originally used pateras to make divine offerings. The long, thin handle of Rita’s patera differs from the Roman variety. In 2013, archaeologists identified a mysterious metal artifact discovered in a ninth-century Viking woman’s grave as a magic wand. The 90-centimeter (35 in) curved metal rod had been an object of speculation since it was entered into the British Museum’s collection in 1894. Discovered in Norway’s Romsdale province, the artifact was originally thought to be a spit for roasting meat or a fishing hook. However, researchers now believe it was a magical tool used by a sorceress. The woman’s grave contained other objects like a whalebone plaque, suggesting she may have been of high status. Experts believe the magic wand was used to perform seior—ancient Scandinavian sorcery, which was dominated by women. Divination and spell-casting were the principal activities of these Viking witches. Researchers believe the tool was purposely bent before burial. Bending or breaking objects prior to burial was a common Viking practice, which signified that it was put to rest. In 2014, archaeologists discovered what they believe is the final resting place of Scotland’s last witch on a Torryburn beach. In the early 1700s, Lilias Adie was accused of bringing ill health to her neighbors. She was arrested and confessed to being a witch. She revealed that she accepted the Devil as her lover and master. Before she could be tried and burned, Adie died in prison and was buried under a stone slab. In Scottish folklore, people who were executed or committed suicide could return and haunt the living. Heavy stones were placed on their graves. 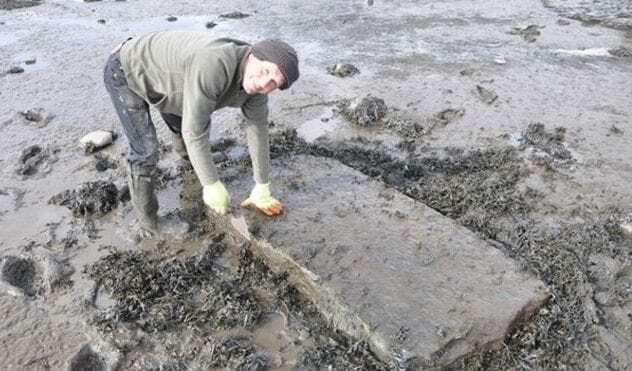 On the beach, researchers located a large slab with a socket for an iron ring. Archaeologists confirmed that the stone was quarried elsewhere. During the 19th century, Adie’s grave was looted, and her remains were sold on the antiquities market. Without an excavation, it is uncertain how much of Adie lingers. In 2015, archaeologists uncovered a mysterious grave of a woman on the Scottish island of Tiree. Dubbed the “Witch of Tiree,” the woman suffered from the British Isles’ first known case of vitamin D deficiency. Aged between 25 and 30, the Witch of Tiree showed signs of severe rickets. She stood only 145 centimeters (4’9”) in an era when women averaged 165 centimeters (5’5”). 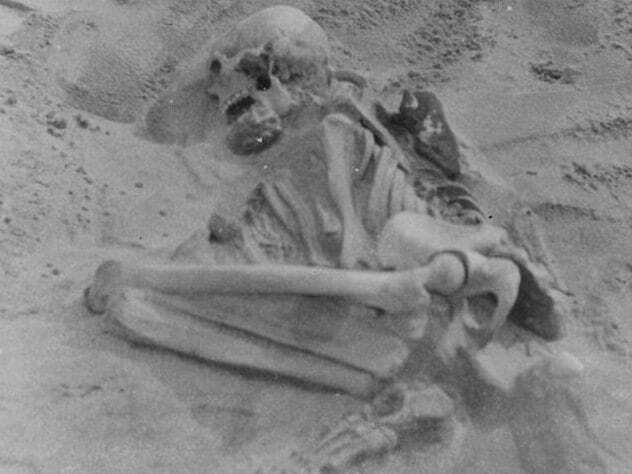 Analysis of her remains revealed that the Witch of Tiree lived between 3340 and 3090 BC and was a local, but she did not eat fish, which could have prevented rickets. It is possible for children to be born with a genetic form of rickets. However, experts believe this was not the case here. Most believe she was kept inside for most of her life. Some theorize she was a slave. Others suggest she was a witch. It’s likely that she was shunned and feared for her condition. 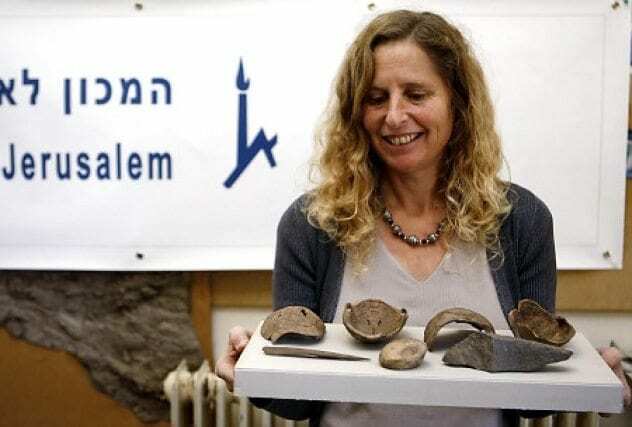 In 2008, archaeologists discovered the tomb of a 12,000-year-old witch in northern Israel. Alongside her were 50 tortoise shells, a leopard pelvis, golden eagle wings, cow tails, two marten skulls, a wild boar’s forearm, and a human foot. The woman was roughly 45 and had a spinal deformation that caused her to limp and drag her foot. Ten heavy stones were placed on her body. This may have been to discourage animals—or it could have been to keep her spirit in the grave. Experts believe the woman served as a spiritual leader for the Natufian civilization. Existing from 15,000 to 11,500 years ago, it was believed to be the first known human society to live in one place year-round. They represent the transition from foraging to organized agriculture. The grave goods suggest that the woman was perceived as being spiritually connected to the animal world. 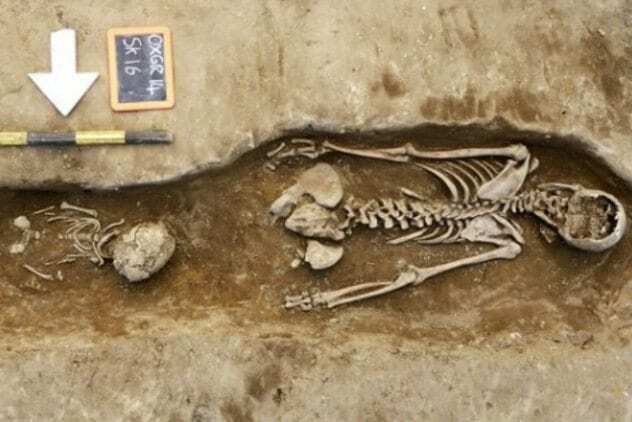 In 2014, archaeologists unearthed the grave of 13-year-old witch in Northern Italy. 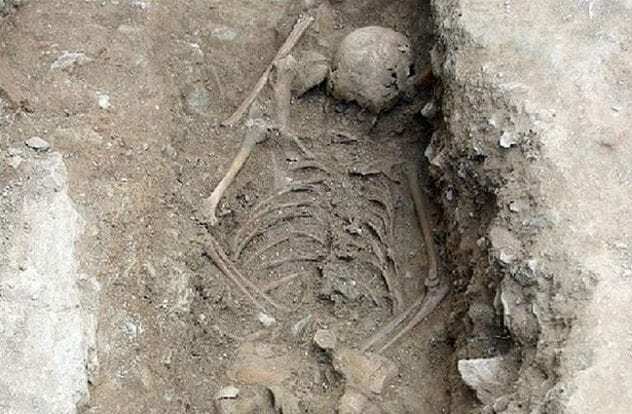 Discovered in the San Calocero complex in Albenga, the girl was buried facedown. According to ancient beliefs, the soul left the body through the mouth. A facedown burial was a safeguard against an impure spirit escaping to threaten the living. Dated to the mid-1400s, the girl’s remains were discovered deeper in the tomb than other bodies and in an isolated part of the cemetery, which was typically reserved for the elite. Analysis revealed that she stood under 152 centimeters (5’0″) and died of vitamin C deficiency. Her bones reflected severe anemia linked with scurvy. It is likely that the girl was pale with protruding eyes, bleeding limbs, and a frog-leg posture and may have suffered from epileptic seizures. Because her neighbors did not understand what was wrong with her; they feared her and buried her in the most humiliating way they knew. 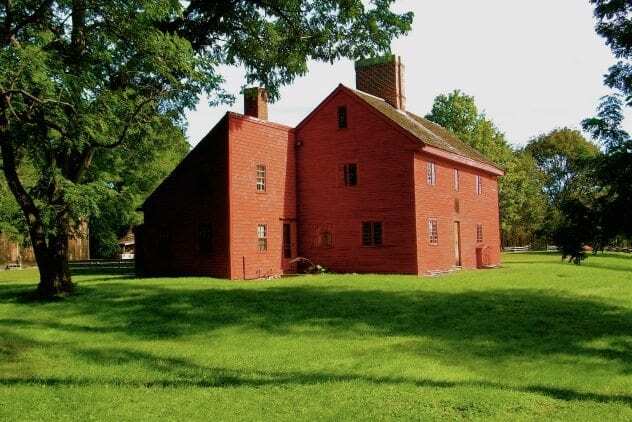 In Danvers, Massachusetts, one can find the Rebecca Nurse Homestead and Graveyard as well as the grave of a victim of witch hysteria. In 1692, the Putnam family accused their 71-year-old neighbor, Rebecca Nurse, of practicing witchcraft during a land dispute. A jury found Nurse innocent. However, they subsequently sentenced her to death after the judge asked them to reconsider. On July 19, 1692, Nurse was hanged and buried in unconsecrated ground near the gallows. Under cover of darkness, her family exhumed her and gave her a proper burial on their family land. At the time Nurse lived, Danvers was known as Salem Village. Strangely, most of the graves of the victims of the Salem witch hunt have been lost to history. After the “witches” were tried, hanged, and buried, the locals never bothered to record their final resting places. Of the 19 victims, the graves of 17 are unaccounted for. 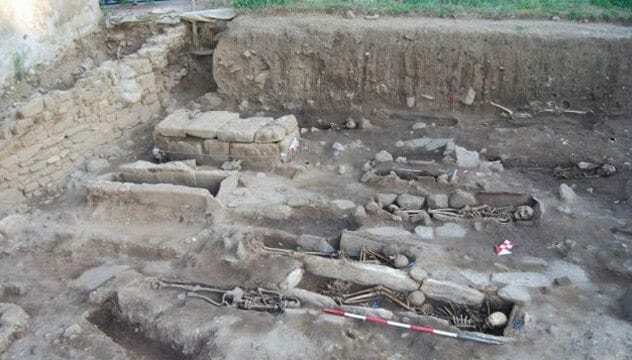 In 2009, Italian archaeologists discovered the remains of a witch in a 16th-century mass grave of plague victims near Venice. The woman’s mouth had been forced open with a brick. 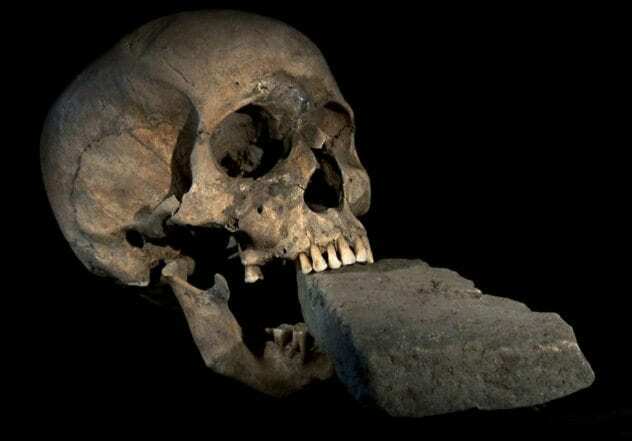 At the time, inserting objects into the mouth of the dead was a common practice to prevent them from harming the living. Dubbed the “Vampire of Venice,” she was likely perceived as a cause of the plague. The brick may have been a crude attempt to stop the spread of the disease. Paleonutritionists discovered that she had eaten mostly vegetables and grains, which suggests a lower-class diet. Experts believe she was between 60 and 70 years old. According to Medieval superstitions, the Devil granted witches the ability to cheat death. The Vampire of Venice’s advanced age made her a target. Of the 60,000 people executed during the European witch hunts between 1550 and 1650, the vast majority were elderly women. 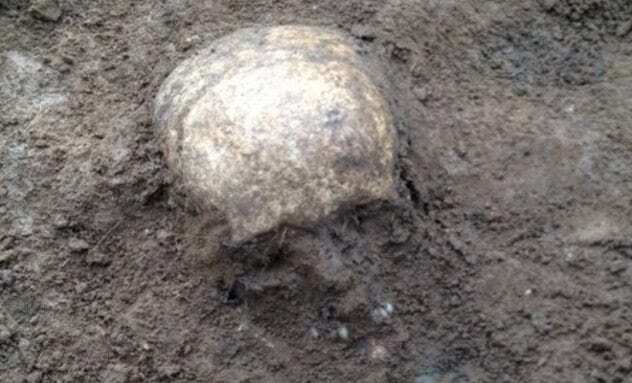 In 2015, while excavating a medieval Benedictine nunnery in Oxford, archaeologists discovered a series of “very unusual burials.” They unearthed the remains of a leper, a victim of violence, and a stillborn child. However, the most enigmatic remains were a young woman who was buried facedown. Often, this humiliating final resting position was reserved for witches. Curiously, her lower legs were later removed to make room for a baby burial—a rarity at a nunnery. Founded in 1110, Littlemore Priory amassed more than its share of scandals before being dissolved in 1525. According to a 1517 account by Bishop Atwater, prioress Katherine Wells bore a child with a priest from Kent. A 1518 account insists that Wells “played and romped” with boys. Seven years later, Cardinal Wolsey shuttered the sanctuary. Most believe the decision was politically charged and the stories tainted to serve the interest of King Henry VIII. Dubbed the “Indiana Jones of folk music” by TimeOut.com, Geordie McElroy has hunted spell songs, incantations, and arcane melodies for the Smithsonian, Sony Music Group, and private collectors. A leading authority on occult music, he is also the singer of the LA-based band Blackwater Jukebox.